FIVE people will test their tummies on Sunday in Mandurah when they tackle the Monster Burger. The Shack Burger Parlour is hosting the eating competition, and putting up a $400 cash prize and trophy for the winner. 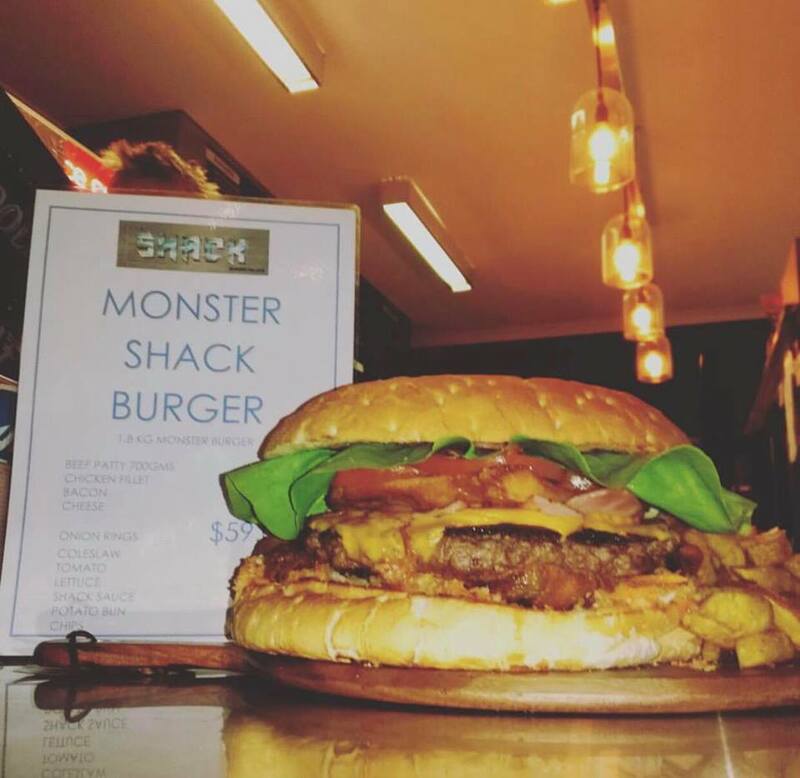 The Monster is a massive 1.8kg burger; it is filled with 700g of beef, 200g of chicken, seven pieces of bacon, four slices of cheese, six onion rings, coleslaw, lettuce, onion, tomato and shack sauce on a potato bun. Harley Zomer said people have been asking the Shack for a bigger burger. Perth Online Food Blogger Martin ‘ Morsels’ Eade will be judging. Mr Zomer said the challenge been made a “bit easier” then how he had originally envisaged. “To give the contestants a fair chance at finishing the burger,” he said. He also has a few tips for finishing the challenge. “Cut it up into smaller pieces and leave most of the bun til last,” he said. People interested in watching should get down to The Shack at 3pm on Sunday at the Mandurah Ocean Marina.